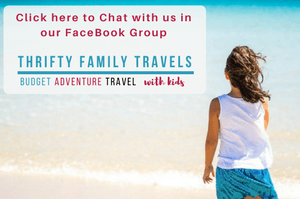 Visiting Sydney with kids and wondering what to do in Sydney with kids? Well you have come to the right place because I love visiting Sydney and have just returned from there, so have put this handy guide together with all the best things to do in Sydney with the kids. The kid’s activities Sydney offers are endless, and not just in the CBD but the surrounding areas too. Things for kids to do in Sydney include checking out Circular Key and admiring the world-famous sites of the Opera House and the Harbour Bridge, hanging out at cool beaches and great playgrounds and visiting fantastic museums and wildlife parks. 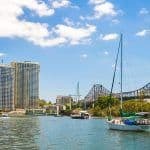 This family things to do in Sydney guide shows you 21 of the best family fun Sydney things to do, including everything you need to know about ticket prices, where to save money booking online and opening times. As well as all the family activities Sydney has to offer, this guide will cover getting to the Sydney CBD from the airport, getting around the CBD and tips on the best family accommodation Sydney offers. There are also plenty of great things to do in the surrounding areas of the Sydney, but in this post I am just going to focus on the attractions within the CBD. Throughout this section I have provided a comprehensive guide to all the top Sydney attractions for kids. I have tried to provide as much information as possible to make your planning easier, including locations, opening hours and ticket prices. 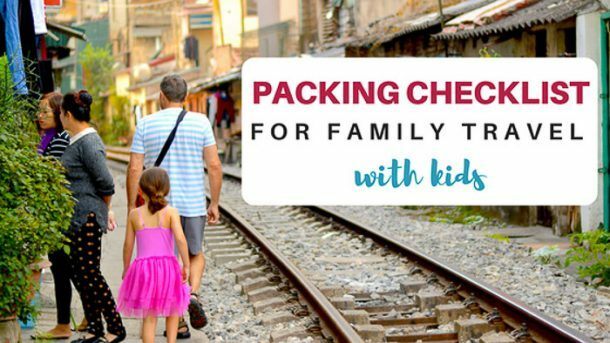 You will note that for many of the Sydney family attractions I often recommend that you purchase your tickets in advance from Klook or Oz Experience. Yes, I will receive a small commission if you do purchase from these sites – but as you will see in most cases you will save yourself a bit of cash in doing so. Other times the price may be the same, but you will save time by not having to line up at the for tickets. I use these sites myself to book tickets for our travels around the world. 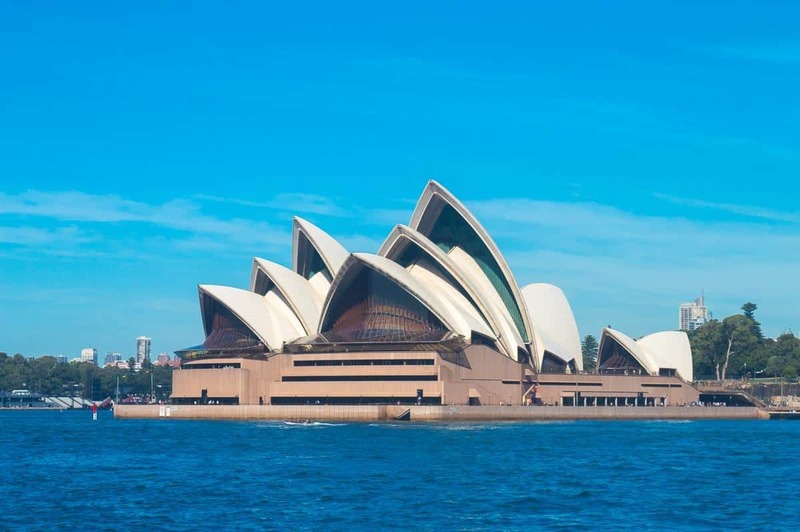 The Opera House is perhaps Sydney’s, (maybe even Australia’s) most iconic landmarks. Opened in 1973, the Sydney Opera House is a performing arts centre which hosts over 1500 performances each year. To see the Opera House head on down to Circular Quay. This is an ideal place to start your Sydney sightseeing as here you can see all of Sydney’s world-famous sites at once – the Sydney Harbour, Harbour Bridge and the Opera House. Best of all it’s one of the free things to do in Sydney as looking doesn’t cost anything! Most people simply take a look at the Opera House from the steps, but you can do a tour inside if you’re interested. If you want to get a photo of the Opera House without a billion other tourists in it – your best bet is to hop on over to Milson’s Point (just by Luna Park) or even jump onboard one of Sydney’s ferries and get a photo from the harbour. If you’re looking for some fun things to do in Sydney for kids, why not take a thrilling jet boat ride on the Sydney Harbour. This exciting ride takes you on a fast lap of Sydney Harbour which is a perfect mix of sightseeing and thrills and spills in the one experience. Opening Hours: Tours depart regularly each day from 10 am to 4 pm. Price: $85 per adult | $49 per child | Family $219 – or to save a stack of money, purchase online from Klook where tickets are $70 per adult. Click here to get your discounted tickets. In terms of the best places in Sydney to visit, then the Sydney Harbour bridge has to be at the top of the list. As mentioned you will see the Sydney Harbour Bridge from Circular Quay, but you can get an even closer look. For a much, much cheaper option you can walk across it for free and see the same amazing views and take some memorable pictures – just at a lower level. A great starting point is The Rocks District where you can begin the 1.4 km picturesque walk, across the bridge to Milsons Point. From Milson Point you can get some fantastic photos of the bridge and Opera House too. 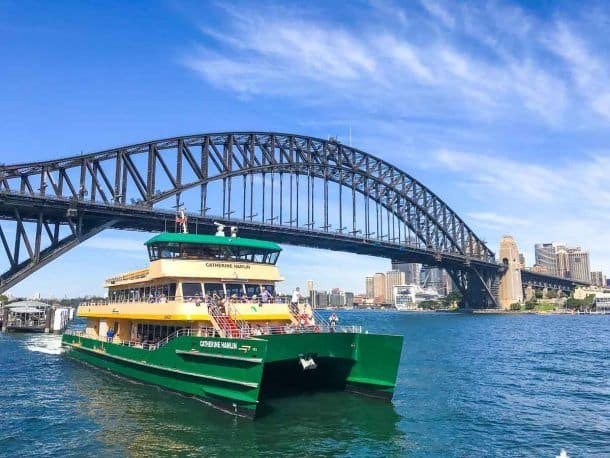 You could stroll back or catch a train from Milsons Point Station back to Circular Quay Station, but my tip is to get a ferry ride back for a cruise of the harbour. It’s not free but it is one of the cheap things to do in Sydney with kids, as opposed to the more expensive cruise options. 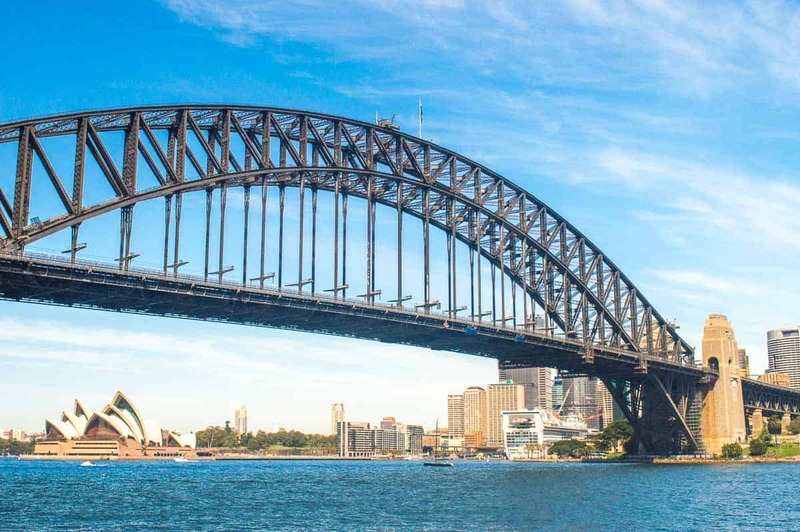 The bridge can be very expensive to climb, however if you do want to climb it, you will have a once in a lifetime opportunity to enjoy the iconic views of Sydney from a truly unique viewpoint. See details below. Price: The bridge climb is $308 per adult | $208 per child | Family $219 – or to save money, purchase online from Klook where tickets are $292 per adult and $190 per child. Click here to get your discounted tickets. Another one of the places for kids in Sydney, that you can get up close to the bridge is at the Pylon Look out. 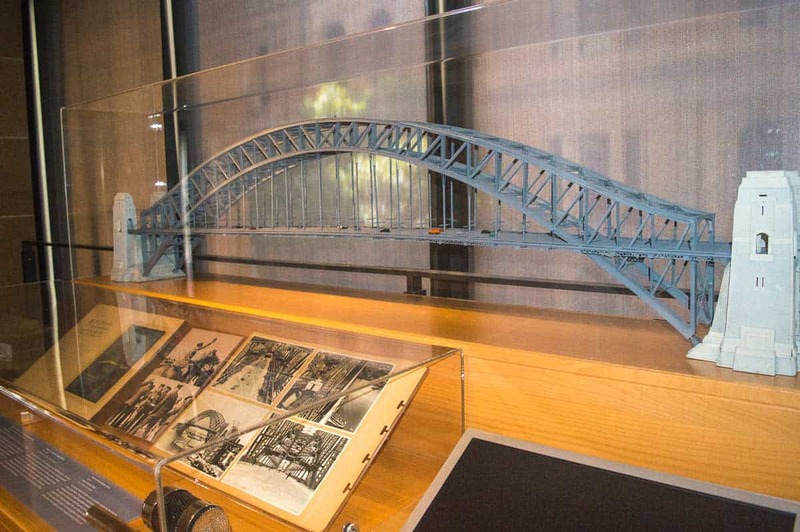 You can learn about the history of the Sydney Harbour bridge by viewing three levels of exhibits, as well as see the fantastic views of Sydney and the bridge. Click here for more information. 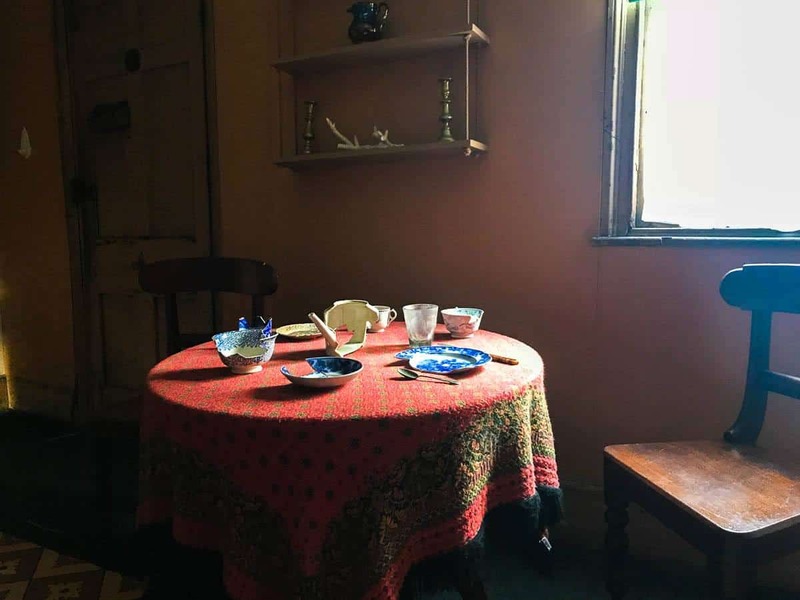 One of our favourite things we did in Sydney was visit Susannah Place. Located in the Rocks, Susannah Place is a couple of old terraces which have been conserved and set us as they would have been many decades ago. Here your family can have a fun, educational experience where you can discover what it was like to be living in these small houses. Your guide will tell you stories about the people, their chores, what they did for fun and how they went about their day to day life. You can even check out the old corner store, where you can purchase authentic goods and wares of this era. We all just loved this museum, particularly Myla – so perfect if you’re after a kid’s museum Sydney has to offer. It also a great activity if you’re in need of one of indoor activities Sydney offers, if you need to esacape the hot or rainy weather. Entry to Susannah Place is my tour only. Tours are for one hour and take place at 2pm, 3pm and 4pm daily. Opening Hours: Daily tours depart at 2pm, 3pm and 4 pm. Price: It’s best to by a museum pass which is $50 for the family and valid for one month for entry to all the Sydney Living Museums. Click here for more information. Just before our tour of Susannah Place we had a bit of time to spare so I googled what to do in the rocks and came across the Rocks Discovery Museum. Whilst only a small museum, this is a fantastic museum if you are interested in the Rocks region. Here you will see a range of items found in the area from many centuries gone by as well as learn about the people who lived here. There is a small area that plays some documentaries about the region as well as a small kid’s area where they can play whilst parents are exploring. We stumbled across this museum by accident, but found it well worth checking out. 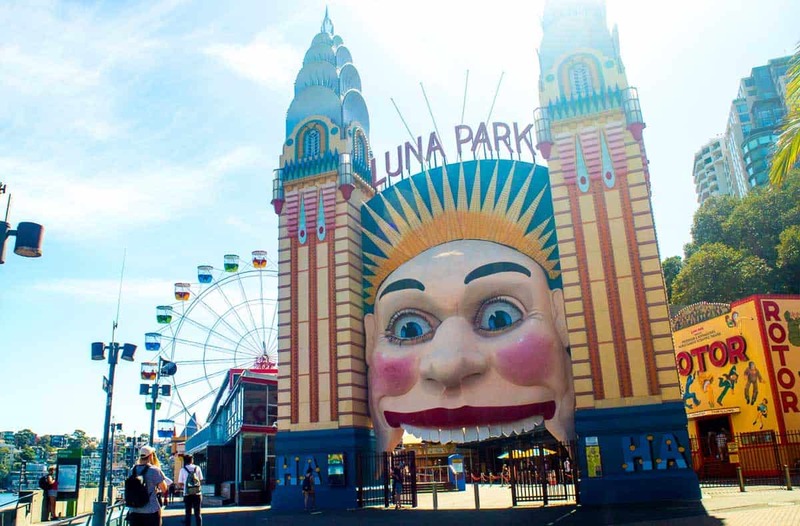 When it comes to the kids fun Sydney has on offer, one of the best Sydney things to do with kids has to be a day out at Luna Park, a heritage listed transport exchange built in 1935. It appeals to both thrill seekers and those who just want fun places to go in Sydney for kids and adults alike. There’s the Wild Mouse roller coaster, there’s the Mystery Manor, a haunted house where you uncover the chilling and disturbing mysteries. From the restaurants and on certain rides, you can even get amazing views of the iconic Sydney Opera House and Sydney Harbour Bridge! If you purchase the Luna Magic Pass you receive a $10 voucher for all restaurants and food outlets. Price: Unlimited rides pass $55| Luna Magic Pass $45|or to save purchase online from Klook where tickets are $49.50 for unlimited and $40.50 for magic pass. Click here to purchase your discounted tickets. If you are looking for things to do in Sydney for free, then visiting the Royal Botanic Gardens is a must experience for your family. Whether you want to take a gentle walk, taking in the amazing bird and plant life, or experience one of the many tours available, this is one of nice things to do in Sydney with children. I suggest taking a picnic lunch and make a day of it! As well as the beautiful gardens, you can also check out Mrs Macquarie’s chair. Mrs Macquarie’s Chair is a Sydney landmark. The chair was carved out of a sandstone rock ledge by convicts in 1810. It was commissioned by Governor Macquarie for his wife Elizabeth who was known to love the area. During our recent visit to Sydney we spent a few hours exploring the Museum of Sydney. It’s only a small museum across a few levels, and has a focus on Sydney’s history including information about the first fleet, and how Sydney was established by convicts. When we visited there was a great kids area set up with loads of activities. There was colouring in, large building blocks where kids were encouraged to make cities and various other interactive displays. It’s very well done and suitable for kids of a range of ages. Myla really enjoyed it, as did many other younger kids that were there when we visited – so perfect if you’re trying to find things for kids in Sydney for a few hours. Just be warned I had to drag Myla away so I could explore the rest of the museum. We didn’t get time to visit this museum during our recent visit to Sydney, but I have on a previous visit and think it’s well worth it for anyone who has an interest in either the legal system or Sydney’s dark history. The museum is located in historic buildings which were once the jail cells of some of Sydney’s most infamous criminals such as Captain Moonlite and Kate Leigh. At the museum you can walk the corridors of the cells, check out the collection of criminal weapons and see a range of displays detailing Sydney’s dark history. This museum is better suited to adults and teenagers. Opening Hours: Weekends 10 am to 5 pm. Looking for one of the best children’s museum Sydney has to offer? Look no further than the Australian Museum. With amazing interactive exhibits showcasing Dinosaurs, sea creatures, gemstones and cultural treasures from Australia and the pacific, this is one of the best places to visit in Sydney with kids. There are various child friendly activities to take part in – especially in the school holidays and weekends. Some examples are science workshops, craft activities and even yoga among the animals. Click here for more information. Unfortunately during our recent visit to Sydney we didn’t get to go to Hyde Park Barracks, as it’s currently closed for a major renewal (due to open later in 2019), but I have been before and highly recommend it one of the places to take kids in Sydney. At the Hyde Park Barracks, it is estimated that over 50,000 convicts past through the original barracks between 1819 and 1848. Now a UNESCO World Heritage listed site, at the barracks you can see what life was like for the convicts and here various stories about their lives. Kids will love swinging in the convict’s hammock, trying on leg irons and learning about their ancestors. Please note Hyde park barracks is currently closed for a major renewal, due to open in late 2019. Location: Queens Square, Macquarie Street. 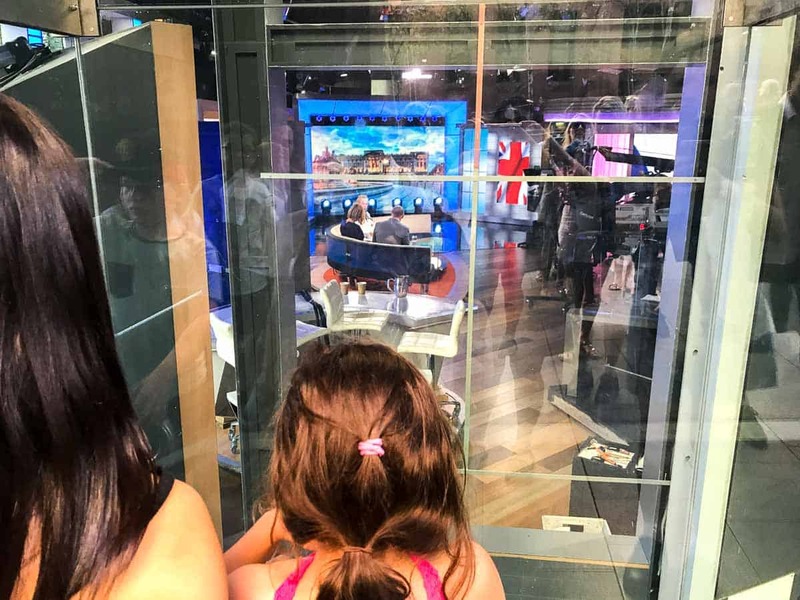 For something a bit different in Sydney, take the kids down to Martin Place where they can peak into what goes on behind the scenes on the channel 7 morning shows. Here you can see “Sunrise” and “The Morning Show” – as they have large windows where you can see the hosts and cameras. It’s a pretty cool insight for the kids to see what goes on behind the scenes of a TV programme. My tip is to put the show on in your hotel room before heading down, so the kids can see what it looks like both on TV and behind the scenes. Opening Hours: Daily from 6 am. 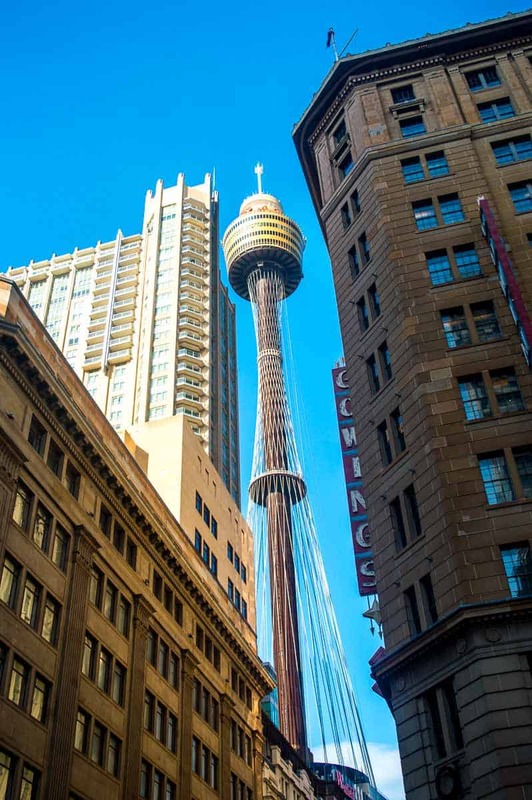 If you are looking for one of the best family experiences Sydney has to offer then you must check out the incredible 360 degree views of Sydney by visiting the Sydney Tower Eye. Make your way up to the incredible observation deck which lies 250 metres above the Sydney streets and see all of Sydney. Price: Adult $29|Children $20| or to save purchase online from Klook where tickets are $23.20 per adult and $16 per child. Click here to purchase your discounted tickets. Or if you are planning on visiting a few other attractions in Sydney, consider purchasing a combo ticket to save. Click here for further information or to purchase your tickets. Looking for fantastic children’s activities Sydney style? Discover the amazing Taronga Zoo, by hopping onto a rocket ferry from Captain Cook which departs from three locations, Circular Quay, Watson’s Bay or Darling Harbour. There is so much to do at Taronga Zoo that its recommended to allow the whole day. There are heaps of animals to check out like gorillas. Tigers, giraffes, elephants as well as Australian favourites such as koalas, kangaroos and a range of reptiles too. Plus don’t miss all the animal shows which include the seal show and my favourite the bird show – definitely don’t miss that one! There are also a range of other animals talks and feeding demonstrations you can check out. I recommend that when you arrive at the zoo that you check out all the times and make a bit of a plan to ensure you don’t miss out on seeing anything. There is also a great kids playground, which no doubt the little ones will want to spend a bit of time here too. 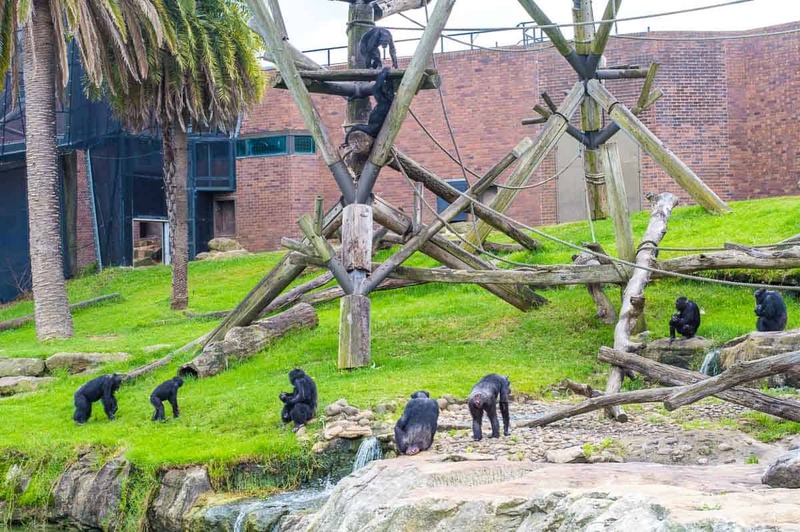 Make sure Taronga Zoo is on your to do list as it has to be one of the most best children’s entertainment Sydney has in its repertoire and makes for one of the fantastic family day out. Price: Entry at the gate $47 adult | $27 child | under 4 is free. Save on combined entry and ferry transfers (usually $12 return) by purchasing your tickets online at Klook where tickets are $52 per adult and $34 per child. Click here to purchase your discounted tickets. At the moment Experience Oz has a great deal where you can get entry to the zoo, tickets for the Sky Safari Cable Car and a 2 day Hop On Hop Off Ferry pass for $65 per adult and $39 per child. Click here to purchases these passes. Another family day out Sydney activity, is to take the ferry across to Manly, after all Sydney is one of the most amazing Harbour cities! You will love hopping on the ferry from Circular Quay across to the Northern Beaches to visit Manly. The quick ferry trip is a fabulous way to experience Sydney Harbour and taking in the sights of the Opera House, Botanic Gardens, Harbour Bridge and the amazing Sydney skyline. While in Manly, enjoy an icecream on the promenade, and take your time discovering the picturesque Shelly Beach. A perfect ending to the day would be to catch the return ferry home at sunset. One of the top things to do in Sydney with kids has to be Madam Tussauds Museum in Darling Harbour. You can get up close with your favourite celebrities, with the many interactive tours and experiences it has to offer. Step into the spotlight and accept your MTV best newcomer award, step into the world of Marvel or kick goals with soccer legend Tim Cahill, enjoy these fun activities and much much more. Price: General Admission $44 or to save money purchase online from Klook where tickets are $35. Click here to purchase your discounted tickets. For a very different museum experience, you can’t go past the National Maritime Museum. This is also fantastic if you are looking for indoor activities for kids Sydney and surrounds, which will also be fun for the adults. The Australian National Maritime Museum is Australia’s national centre for maritime collections, exhibitions, research and archaeology. 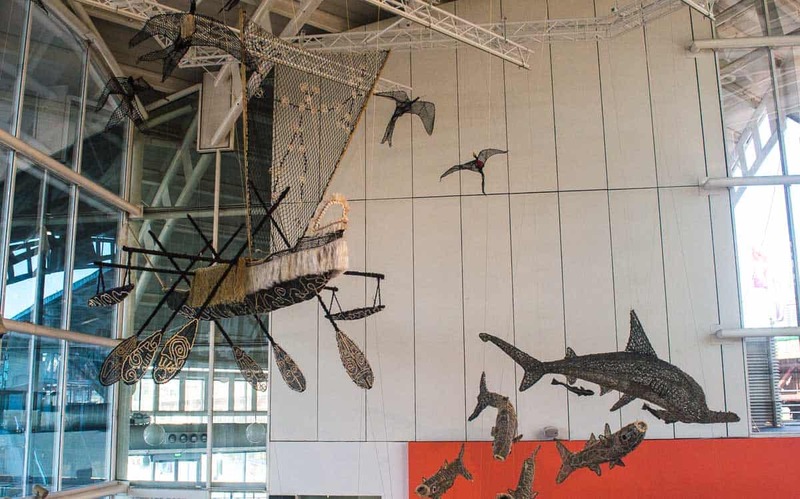 From fascinating artefacts, thought-provoking exhibitions and fun activities for kids (and big kids), the museum gives local and international visitors a chance to connect to Australia’s maritime past and present in surprising ways. Whilst general admission is free, in my view the highlights of the museum are the parts included with the entry free. Kids will love climbing onboard real-life tall ships, warships and even a submarine. For the super little ones there is even an under 5s section, although Myla quite enjoyed this too even at 8 years of age. So perfect if you’re looking for things to do in Sydney with kids under 5 as well as over 5. Are you also headed to Melbourne? Click here to read our ultimate guide to Melbourne with Kids. If you’re still craving some animals encounters after your visit to Taronga Zoo, then pop into Wild Life Sydney Zoo which is located in Darling Harbour. Here you will find a range of animals including cute and cuddly koalas and kangaroos, as well as the city’s most dangerous and interesting animals like snakes and crocodiles. There is also a range of animals talks and feeding demonstrations you can see – so be sure to check this out and plan your day so you don’t miss out. A visit to either here or Taronga is definitely among the top things to do in Sydney with kids! Price: General Admission $44, or to save book with Klook where you can save a stack as tickets are only $35. Click here to purchase your discounted tickets. Discover Sydney Sea Life Aquarium where you can face your fears at Shark Walk and watch as sharks glide by over your head. The Aquarium is one of the most interactive fun things for kids in Sydney to do. If you don’t have a chance to see the actual Great Barrier Reef, you can still encounter some of its most unique marine life at the Reef Theatre and the giant floor to ceiling display. The kids will adore meeting Mr. Black and Pinksta, the cute little mischievous penguin couple, and love the experience of the newest attraction – Day & Night on the Reef – that offers an interactive experience featuring state of the art technology and over 500 sea creatures. Price: Adults $46 or to save book with Klook where tickets are $36.80. Click here to purchase your discounted tickets. 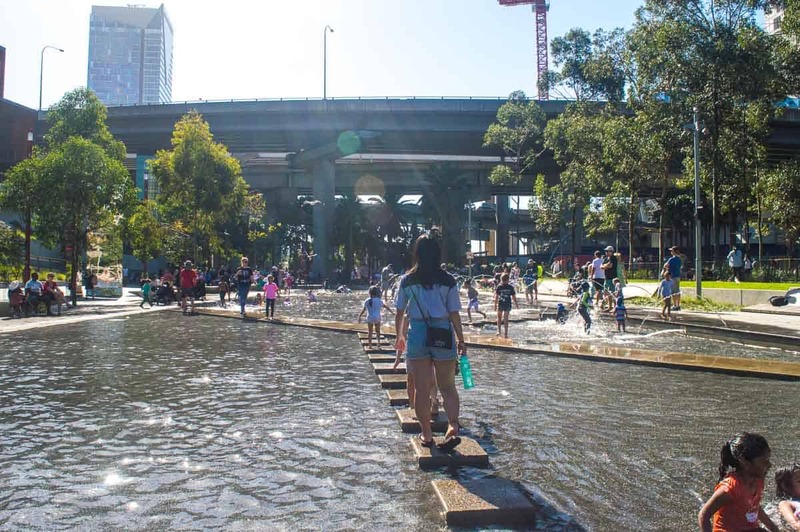 If you are still searching for more places to go in Sydney for kids, then check out the Darling Quarter playground. This unique playground provides opportunities for kids of all ages to climb, slide, scramble and much more. They can play with water, explore motion, machines and the working behind it. A great park for kids of all ages. Located in Darling Harbour, the Powerhouse Museum is some of the best, educational fun your children can experience while in Sydney. If it is a rainy day and you are looking for children’s indoor activities Sydney offers, then this could be the activity for you and your family. The museum has many interactive exhibits where children can explore and learn all about robots, magnetism, electricity and much much more. A crowd favourite is a really fantastic space exhibition, which even includes a life size cockpit model which you can explore, another popular exhibit is one which explores climate change and the science behind it. A visit to one of Sydney’s gorgeous beaches is a must whilst in Sydney, and no beach is more iconic then Bondi Beach. Here you can swim in the ocean, build sandcastles of the beach or get some ice cream along the promenade. 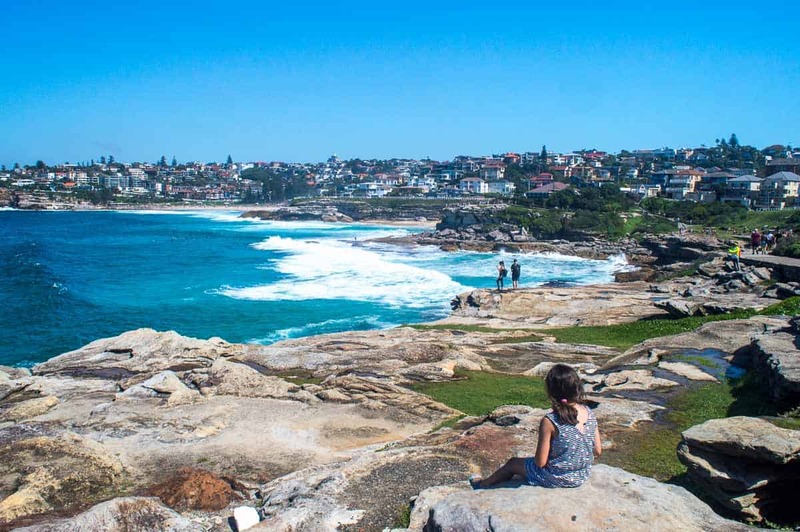 If it’s too cold to swim one of the fun family activities Sydney has on offer is the Bondi to Coogee walk – or the shorter to Bronte Beach Walk. They are both one of the best, free ways to discover the coast and what lies along on the way. 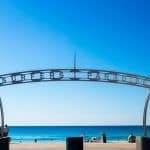 The walk to Bronte is a stunning 1km trail, beginning from the Bondi promenade and such a perfect way to start the day. You can stop along the way, to wonder at the amazing cliffs, rock pools and bays and of course take lots of pictures to remember the incredible views. Once in Bronte, your children will love to play on the playground and if its warm enough have a swim. 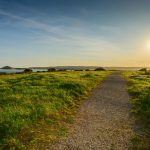 The Coogee walk is a little longer at 6 kms – and has some more steep terrain so may be better suited for slightly older kids, but it offers some stunning views, beaches, parks, cliffs, bays and rock pools which make it worthwhile. You may even like to bring a picnic lunch along the way. If that’s not active enough for you and you are looking for a surfing activity, why not book a surfing lesson at Bondi? These two hour beginner lessons on one of the most beautiful beaches in the world just might get you hooked on surfing! Book with klook for this incredible opportunity. Click here to book now. 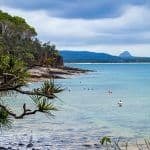 If you love beautiful beaches – then come to Queensland! 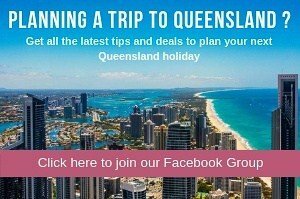 Click here to read our Queensland content. Whilst it’s not in the Sydney CBD, travelling to the Blue Mountains is a great day trip for the whole family and well worth the drive. From seeing such amazing landmarks such as the three sisters, to exploring the picturesque townships, and of course the incredible bushwalks and mesmerising waterfalls amongst the backdrop of the mountains, if you have time to discover this beautiful part of the world you must put it on your to do list. You can hire a car and explore on your own, The entrance to the Blue Mountains at Glenbrook/Lapstone is only around 50 minutes drive from Sydney. Possibly the most relaxing way to travel to the Blue Mountains is by rail. you can board an air-conditioned double decker Mountains train. Another option is by coach, many coach companies offer day trips to the Blue Mountains. Coaches generally leave from Circular Quay in Sydney. Alternatively, and a very popular choice is a hop off, hop on bus which allows you to explore the Blue Mountains the way you want to, you can hop off for as long as you like, and then hop on again all with a friendly driver with commentary about the area and insider tips on where to go and what to see in the region. If you’re interested in the Hop On Hop Off Bus, book through Klook as you can save! Usually tickets are $55, but through Klook they are $46. Click here to get your discounted tickets. When it comes to where to stay in Sydney with family, you will note that Sydney is a large, well spread out city with hotels found in all locations. Whilst Darling Harbour is the prime tourist area and has some of the best family hotels Sydney offers, it is also very expensive. For the best family hotels Sydney has on offer, I personally like the area just past Darling Harbour around Central Station as you can still walk to Darling Harbour, plus you are right by the train station which makes it ideal for getting around. You will note however that accommodation in Sydney is expensive! In terms of budget family accommodation Sydney offers, expect to pay at least $200 AUD a night for a family of 4. For the really cheap family accommodation Sydney offers, you are going to have to go out much further afield or consider a family room in a hostel with shared bathroom facilities. If you decide to stay out further afield, just ensure you are close a train station and you will easily be able to get to all the attractions mention in this guide. During our recent stay in Sydney we stayed at the Novotel Sydney Central. 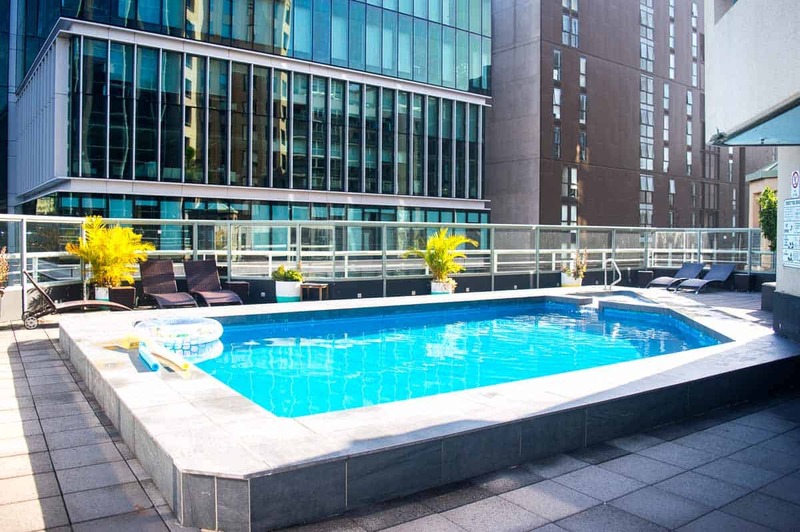 Novotel is known across the world for offering families fantastic value for money and they are no doubt a great option if you’re looking for the best place to stay in Sydney with family. Whilst not located in the heart of the city, you can still walk to all the top attractions for kids in Sydney from the Novotel Sydney Central. 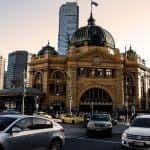 And when everyone’s legs get too tired to walk, the hotel is well located right by Central Station where you can catch trains to all the attractions as well as a range of bus stops and light rail stations being close by. I love how it’s right in the heart of China Town so lots of delicious and cheap restaurants close by. Plus if you do drive to Sydney there is parking here too. When it comes to family rooms Sydney hotels offer, the Novotel is on point! These rooms are spacious and come with two queen size beds, with plenty of room for every family member’s belongings. Each room features comfortable bedding, a TV with cable channels and on-demand movies, high-speed internet access, a minibar and ensuite. There are different accommodation options to choose from, including Standard Rooms, Suites, Balcony Rooms and Executive Rooms. In terms of facilities, the kids will love swimming in the heated swimming pool on level 8. There is even a box filled with a range of pool toys as well. For parents supervising there are tables and chairs as well as sun lounges – plus – my favourite – a telephone which puts you straight through to room service if you are need of a wine or something to eat. 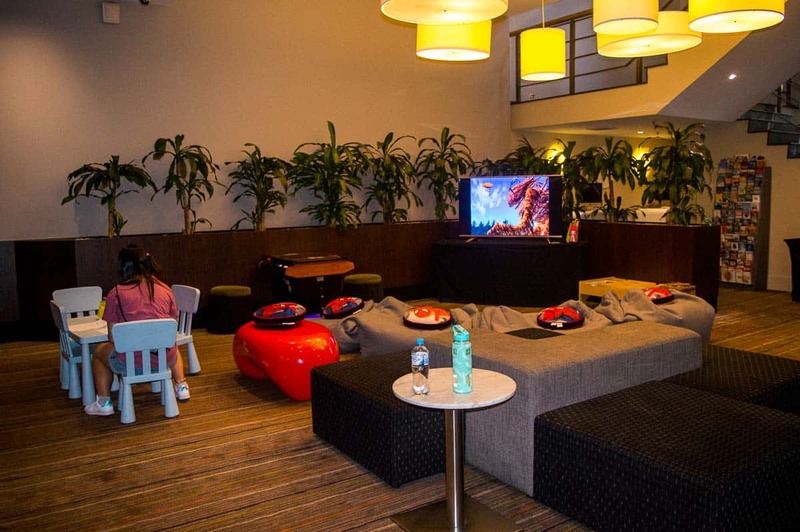 Another great area for kids is the kids room located in the foyer of the hotel. Here you will find a TV playing kids shows, colouring in and a range of games. I love how the kids area is strategically place across the foyer, so that parents having a drink in the bar can clearly keep an eye on the kids. For breakfast you can’t beat the buffet served each morning at the Field House restaurant. If your room doesn’t include breakfast make sure to book on check in when its only $20 per adult (kids eat free!!! ), otherwise its $32 at the restaurant. The hotel also has 24 hour a day Reception, Concierge, room service and all other services associated with a top hotel. We thoroughly enjoyed our stay at the Novotel and would recommend it for families who want a full-service hotel in a great Sydney location. But don’t my word for it, the Novotel is one of the highest rated Sydney hotels as can be seen on TripAdvisor with 73% of people rating it as excellent of very good. This is a top-quality hotel but doesn’t come with a top-quality hotel price. For a hotel of this standard in the centre of Sydney I was completely surprised at the price. At the time of publishing family rooms start at $254 for a family of 4 or $284 including breakfast. 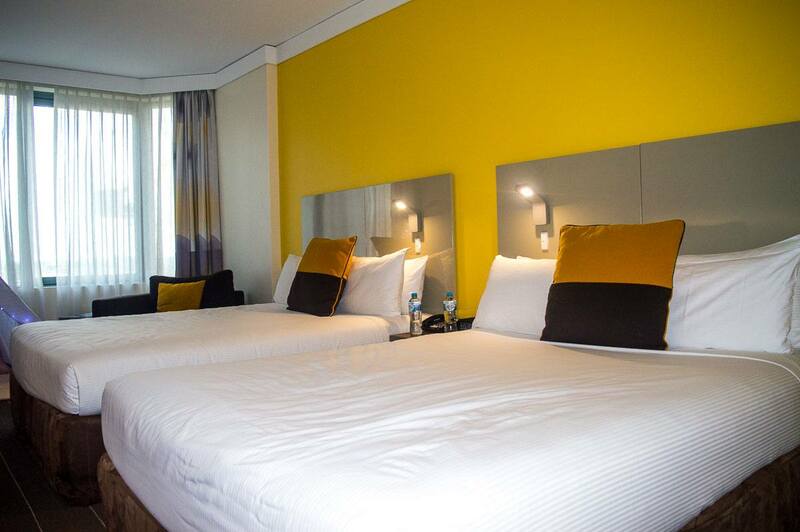 Click here for the latest prices or to make a booking for Novotel. If the Novotel is booked out during your visit, here are a few other family friendly hotels in Sydney. I have chosen all these hotels based on their ability to adequately accommodate a family of 2 adults and 2 children, being in a central location, private bathroom facilities and an easy walk to transportation. Located in the Rocks, my all-time favourite area of Sydney. Here are surrounded by the gorgeous terraces and the cobblestone laneways of Sydney’s oldest neighbourhood. It’s a short 10-minute walk to Circular Quay, which is also where the nearest train station is and a 15 minute walk to Darling Harbour. The hotel is an old school style Sydney pub with accommodation upstairs. The hotel is decorated with charming antique furniture. Families are best accommodated in the family suite which includes 2 double beds, private bathroom, dining room, TV, air conditioning and tea and coffee making facilities. 76% of people on TripAdvisor rate it as excellent or very good. At the time of publishing the best rate for a family of 2 adults and 2 children was on booking.com for $237 AUD per night which also includes breakfast. Located in the heart of the Sydney CBD only a 5 minute walk to Darling Harbour, 15 minute walk to Circular Quay and the nearest train station being Wynyard Station which is only a 5 minute walk away. Families are best accommodated in the 2-bedroom family suite which includes 1 queen bed and 2 singles, private bathroom, TV, air conditioning and tea and coffee making facilities. At the time of publishing the best rate for a family of 2 adults and 2 children was on booking.com for $200 AUD per night. Of course, Sydney is absolutely teeming with fantastic family friendly restaurants and cafes, however here a few that we have personally been to and recommend. 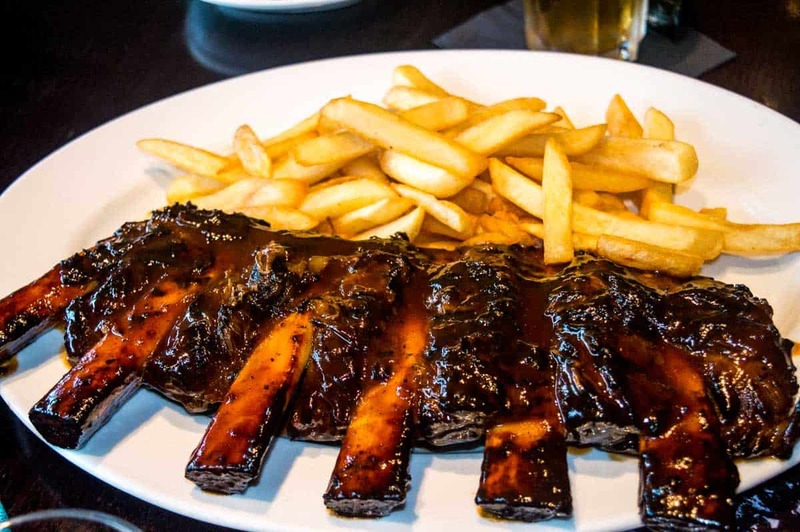 If you’re down at Circular Quay and looking for somewhere to get a really good meal, with big servings, and great atmosphere then you want to get down to Hurricane’s Grill & Bar. The staff here are super friendly and totally welcoming to the kids too. As soon as we arrive Myla was given an activity sheet and pencils to keep her occupied. Whilst at first glance the menu might appear a bit pricey, given the generous serving sizes and as I think you could easily share, it works out to be not too bad. For example we shared a plate of 1.5 kg of ribs which was $53. There are two Hurricane’s Grill & Bar in the Sydney CBD with one being at Darling Harbour and the other at Circular Quay which is where we ate. Hurricane’s is open 7 days a week, Midday – 3pm for lunch and 5pm – late for dinner. 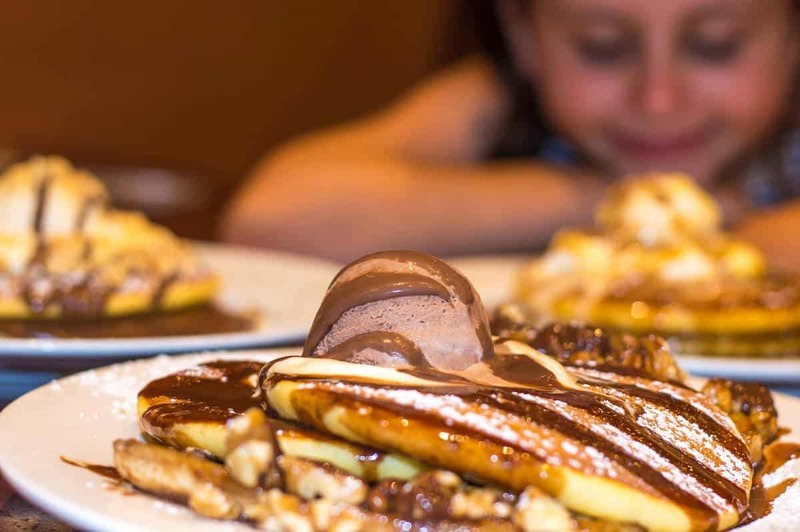 If you love good value pub type food AND pancakes, then Pancakes on the Rocks is for you. This is a great casual restaurant with a huge variety of food on the menu such a great menu with salads, pizzas, savory crepes and steaks. This restaurant offers great value for money with all meals being are under $20 with steaks starting from around $30. The kid’s menu is cheap too with meals around $7. They also have a breakfast menu. Of course the star of this family friendly restaurant is their amazing pancakes! Now I am not a huge pancake fan, but OMG, these pancakes are to die for!!! Absolutely amazing with so many different delicious toppings to choose from – I counted 18 different options. I had nutella – amazing! Pancakes start from $13.95 for two pancakes, but there is the option of ordering crepes instead of the pancakes as well as ordering just one pancake instead of two. The kids pancakes start from $6.95. My tip is to go super hungry and have a light meal so you have plenty of room for the pancakes – they are afterall the star of the show. Better still skip the meal and just have the pancakes!!! There are two Pancakes on the Rocks in the Sydney CBD with one being at The Rocks and the other Darling Harbour which is where we ate. The Rocks restaurant is open 24 hours, 7 days a week, whilst the Darling Harbour one is open Sunday to Thursday 7am to 10.30pm and Friday and Saturdays until midnight. There are different options to get from the Airport to the City, including train, transfers or taxi/Uber. At around $40 AUD, for a family in most cases taking an Uber will be the most cost effective. A train into the city is around $16.77 per adult with an Opal Card or $14.03 for a child. So as you can see for a family it’s cheaper to take an Uber. See more about the Opal Card below. Another option of course is private transfers, but this is still $22 per person. If you prefer private transfers book online via Klook where its only $19.15 per person. Click here to book your discounted transfers. Catching trains and ferries are an easy way to get around in Sydney – you just need to make sure you get an Opal Card. An Opal card is the only ticket you need to travel on all public transport in Sydney and surrounds – including Sydney’s Airport Train. Opal cards are free smartcard tickets you keep and reuse. Just add value to get started, then tap on and tap off to pay your fares on trains, buses, ferries and light rail. Opal cards are available from ticket windows at the Domestic Airport and International Airport stations or any sort of convenience store or newsagent. We got ours at a 7/11 just by our hotel. Each trip around the city will cost you around $2-$4 and once you reach $15.80 in a day your remaining trips are free. On Sunday’s its even better as anything after $2.70 is free! Use the NSW Transport journey planner website to plan your trips and check pricing or download the Opal App. Again in some cases for families getting an Uber may well still be cheaper and sometimes easier. If you’re the sort of family that loves the Hop On Hop Off buses, then you’re in luck because Sydney has one of them too! Once again you save yourself a stack if you book online through Klook. The one day ticket is usually $58 per adult and $40 per child but via Klook its $49.50 per adult and $34.20 per child. For the 2 day pass it’s usually $75 per adult and $50 per child but via Klook its $67.50 per adult and $45 per child. Click here to book your discounted bus tickets. Sydney is a fantastic holiday destination for families with loads of great attractions and some gorgeous beaches too. 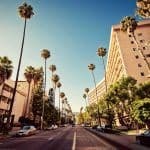 However Sydney is an expensive place to holiday for families, so do your research in order to get the best value for money, or better still use the tips provided above to save yourself some money where you can. 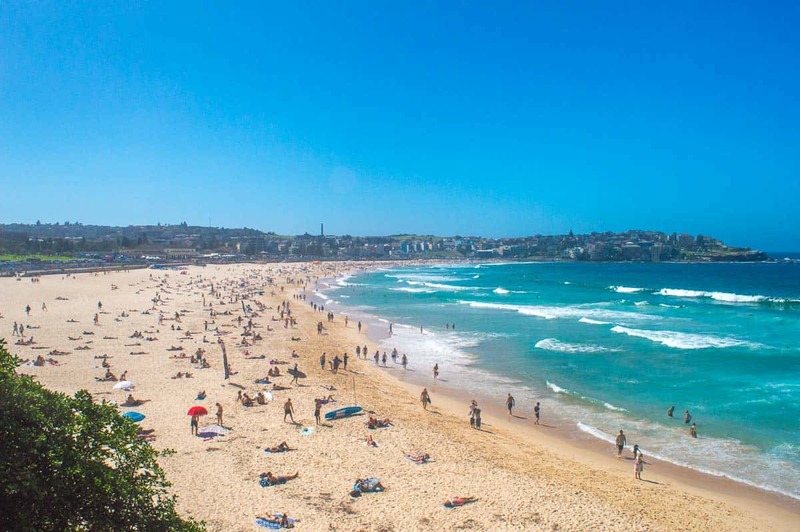 If you’re coming to Sydney for a family trip, I recommend spending a few days in the city to do the city sights then spending a few days on one of the gorgeous beaches for swimming and relaxing. Thanks to the Novotel, Sydney Living Museums, Hurricane Bar & Grill and Pancakes on the Rocks for hosting our visit. However all opinions expressed in this post remain my own and haven’t been influenced in any way. 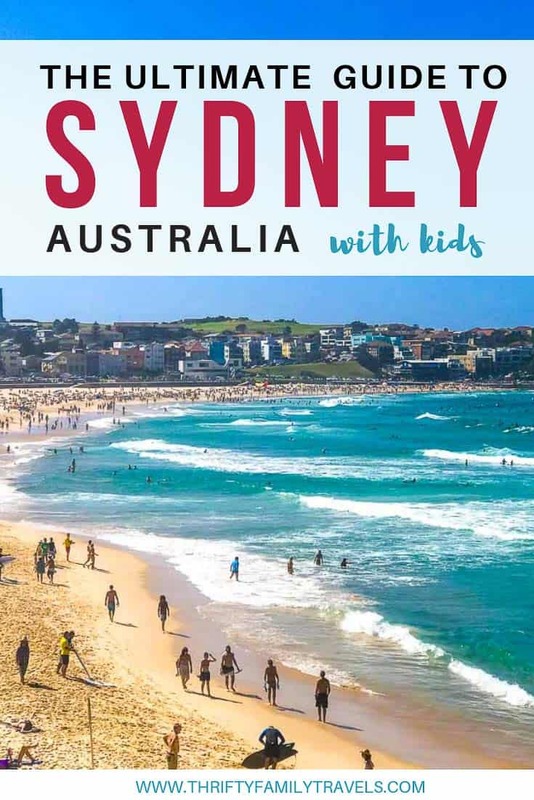 Get our Sydney with Kids Guide FREE! Get our free 27 page guide which includes everything you need to know for a stress free trip to Sydney with the kids. Start planning that Sydney trip now!